What does a militarized humanitarian ethic look like? How is it envisioned, enacted and experienced during the course of an epidemic? Does it share an elective affinity — if not common origins and structural homology — with US public health? In this paper, I probe these questions, which have emerged as I revisit data from my personal Ebola archive and the professional archives of a friend and collaborator who worked for the WHO during West African Ebola outbreak. Specifically, I read these archives alongside ethnographic data collected via ongoing conversations with ‘frontline responders’, visits to temporary museum exhibits and guided tours of abandoned and repurposed holding and treatment centers in Sierra Leone. The paper, I hope, will be an opportunity to sketch out and theorize relationships among the range of organizations participating in industries of salvation and care. This workshop will not have a pre-circulated paper. 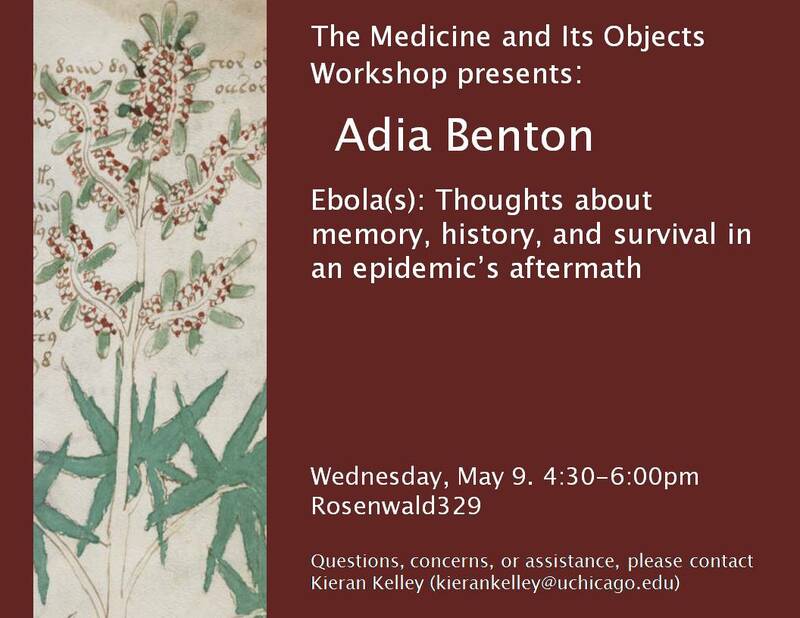 If you have any questions or require assistance to attend, email the MaIOW coordinator: Kieran Kelley (kierankelley@uchicago.edu).